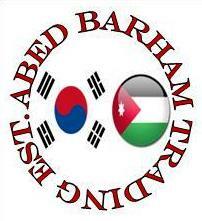 Welcome to ABED Barham Trading Est. Founded in 1990 as an exclusive agent for very high quality products from Germany & Korea. We are specialized in Medical devices, General safety supplies, Health care products, and other Eco-friendly products. Our products holds Many Quality certificates including ISO certificates. And we are recognized at the Korean commercial Attache in Amman - KOTRA since 1990. We perform our business according to the world trade agreements, so all contracts signed with our distributors is approved by chamber of commerce & the distributor's embassy. Articles of our contracts protects both parties legally & commercially. we are seeking to appoint sole agents in the Middle east & African countries; who have the capability to purchase agreed quantities of the chosen product, and have the ability to promote it at their markets.